In this section, important trials from the past 20 years are summarized in an easily digestible form. 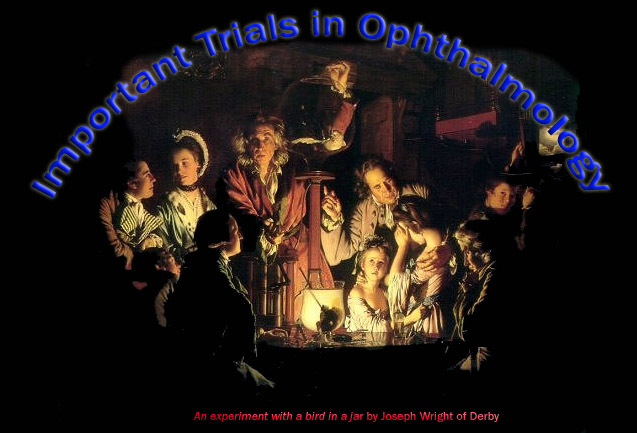 Many of the trials have influenced the ways ophthalmology is practised nowadays. References are given at the end of each trials for further consultation. NOTE: Because of the rapid development in ophthalmology, some of the results from these trials should be re-interpreted in the light of newer medical management. For example, the early glaucoma trials did not use prostaglandin analogues such as latanoprost which is now widely used to lower the intraocular pressure effectively.